After riding 3,430 km over three gruelling weeks, number two and three in the 2011 Tour de France, brothers Andy and Fränk Schleck, are standing on the Tour de France winners podium, waiting to welcome the winner. Up steps 34-year-old Cadel Evans, with a satisfied look on his face: mission completed. Since Cadel hung up his mountain bike to join the ranks of professional road cycling in 2000 he had worked tirelessly for this very moment. It had been an 11-year journey of much more than just long rides. 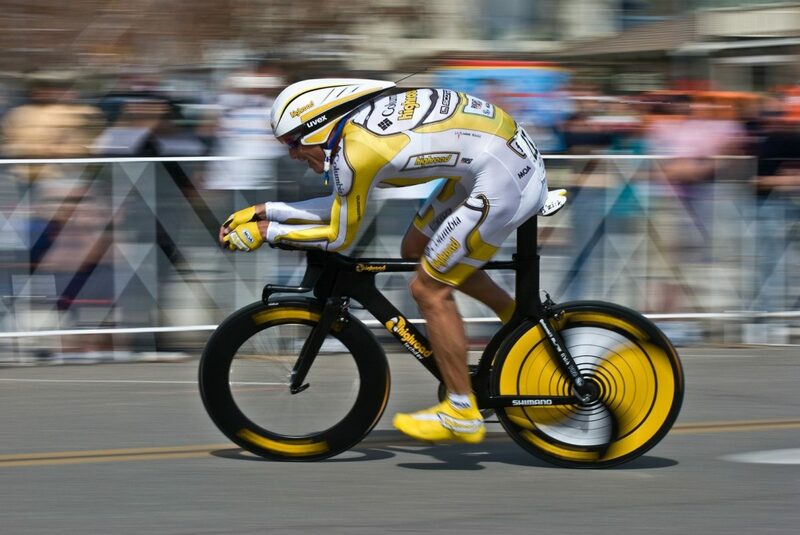 Hours, weeks and months had been spent studying and understanding the mechanics of his bike, the physiological abilities of his body and the strengths and weaknesses of his mind. Cadel was not just an excellent rider with an outstanding physique – he was a true cycling scientist. In the end, Cadel’s devotion to learning and pushing his boundaries made him a true champion. Why do some athletes become the best of the best while others don’t quite make it? Why do some athletes with seemingly lesser talents go all the way while others fail even though they have the talent and physiological ability to become superstars? To answer these questions and understand what makes the difference between a super athlete and the rest of us, we caught up with an expert in the minds of elite athletes, clinical psychologist Dr. Luke Henderson. Luke consults with the Australian Football League Player’s Association where he works with individual players and teams on a range of topics from specific mental health issues to performance enhancement and sports psychology. 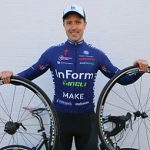 Luke is also a regular at the Australian Institute of Sports where he has worked with elite cyclists, triathletes and runners. From his own clinic, Vitalise Psychology, he runs individual and group sessions focusing on positive aspects of human psychology such as wellbeing, happiness and performance enhancement. Luke is no stranger to physical performance himself. As a self-described “weekend warrior”, he has so far completed six marathons and numerous Sprint and Olympic distance triathlons. 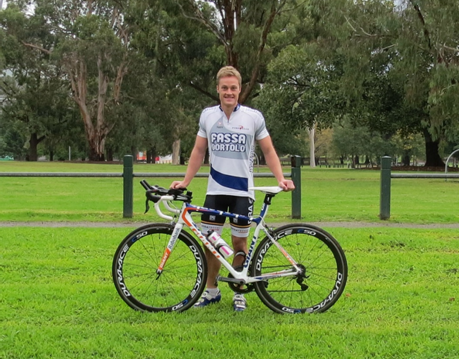 At the moment he is preparing for the Melbourne Marathon, Noosa Triathlon and Ballarat Half Ironman which are all coming up within the next six months. Having worked with a large number of elite athletes, Luke is very clear on what makes a superstar: it all starts with the right mindset. The ability to focus on the journey rather than the final outcome has a large impact on how an athlete will keep themselves motivated to push through hours of gruelling training and practise. With the right mindset comes the belief that anything can be accomplished as long as you practise it long enough: “Another key aspect is the interpretation of performance as an opportunity to grow, learn and develop – not as a time where you have to prove yourself. Instead the focus shifts to what you can learn and how you can grow from this performance, so that your next performance is better”, Luke says. The right attitude towards learning and development is the foundation for any elite athlete to achieve success. However, the ability to keep focus for prolonged periods is what takes someone from good to great. Of course the best athletes also rely on clear and specific training plans in order to reach the pinnacle of their abilities. The combination of mindset, absolute focus and the right training is what puts elite athletes ahead of the rest of us. True champions are not born, but made from years of relentless effort and faith in their ability to continue to improve. Cadel Evans, Tiger Woods and Michael Jordan all stand out from the rest because they did not just rely on their natural talents but instead left nothing to chance. Thank you, really good info. and reminders of what must be done.